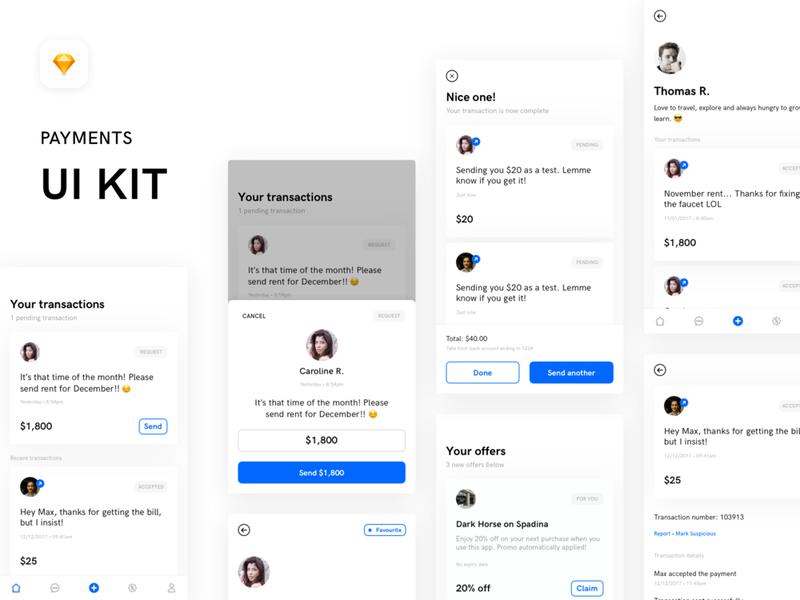 I've been prototyping a way towards financial freedom – can I build a product to let users take control of their money, be able to send it to whoever they want without cost, to be able to re-invest on the fly and to accept and request transactions. I hope this can expand into including digital currencies such as Bitcoin or Ethereum. Sketch UI kit coming soon for a free download.